Since HiETA’s beginnings, heat exchangers have been at the centre of our research and development activities. Indeed, the IP on which the company was founded was in the application of metal powder-bed AM processes for the manufacture of compact heat exchangers. The reason this was and remains “core” to HiETA’s offering is that we believe that producing compact heat exchangers through AM processes presents many benefits. 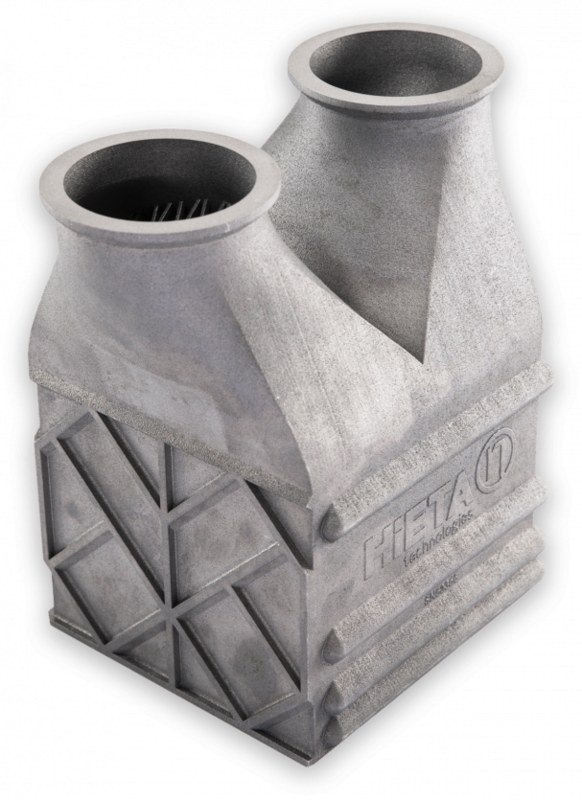 HiETA have developed low-temperature compact heat exchangers for internal combustion engines in cooler applications such as charge-air cooling devices and have demonstrated significant benefits over those produced through forming and welding/brazing processes with inherent constraints and failure locations. The design freedoms of the process allow us to create highly efficient heat transfer surfaces, which result in highly efficient heat transfer surfaces, which result in high effectiveness core technologies with minimal pressure drop. We have developed a library of heat transfer surfaces optimised for both high and low Prandtl number fluids. The freedoms of the process also allow our designers to employ novel manifold optimisation techniques to ensure flow distribution to the core is such that the performance of the unit is maximised. 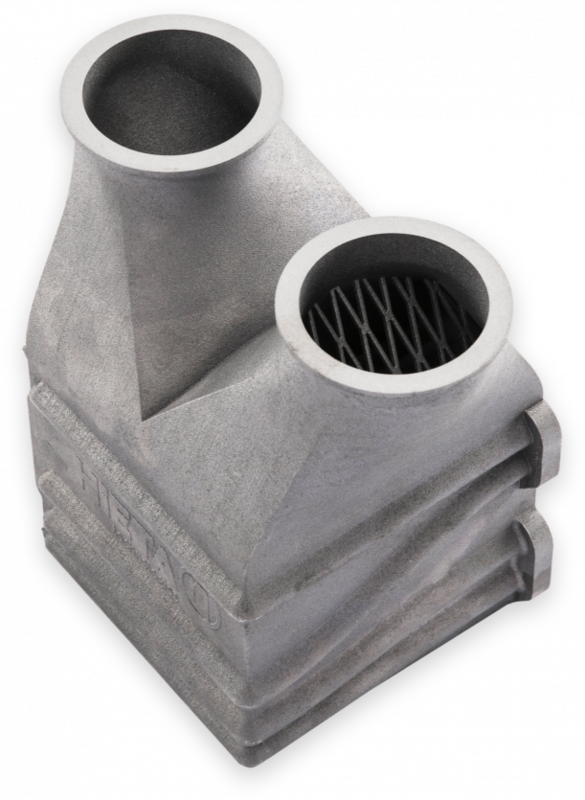 The opportunity is enhanced in applications where package space is limited as these core and manifolds can be formed into novel shapes to fit the design space available. We also optimise these shapes to reduce thermal and pressure losses using our expert knowledge of advanced computational fluid dynamic (CFD) modelling techniques. HiETA continues to innovate in the area of low-temperature compact heat exchangers including its development of integrated condensing and separation stages integrated as part of the compact heat exchangers design. This engineering and Additive Manufacturing understanding has been applied to various system designs such as exhaust heat recovery systems, fuel cell cooling, and steam generator systems. To support these innovations, HiETA have developed material data sets for a portfolio of materials properties through tensile, fatigue and corrosion testing of representative core geometry. Furthermore, thermo-mechanical endurance is ensured through extensive experience in finite element analysis of complex heat exchanger models and experimental validation through material testing and transient cycling of scaled and full-size compact heat exchanger articles. The benefits of HiETA compact heat exchanger products are also realised quicker, as without the need for tooling and with its extensive library of performance and materials data, we can rapidly realise these benefits and meet your application requirements.